Twenty nine hours. That’s my window. The office closes at 4PM and I’ve got to be back to SFO at 9PM tomorrow. For now there are zero obligations. No hotel. Just me, some GoPro cameras, blue skies and winding asphalt. That’s all I wanted. Well, that and a clutch pedal. 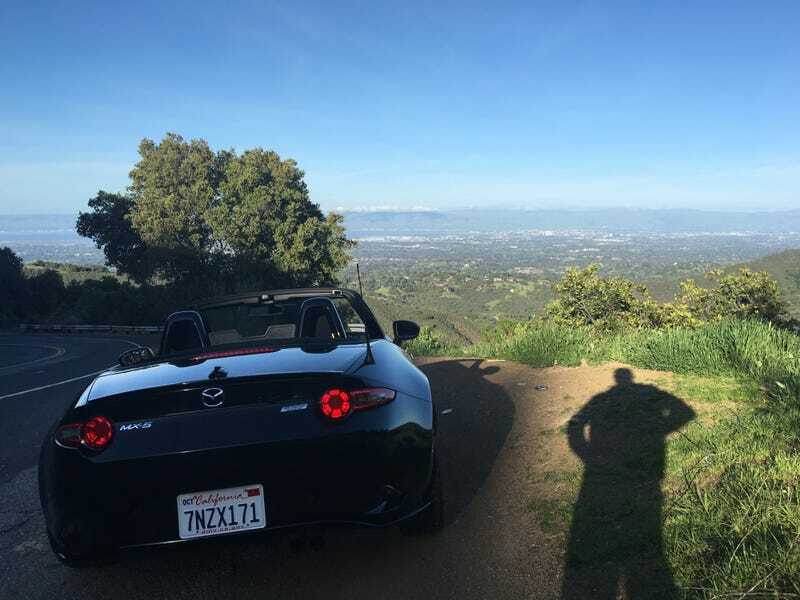 And thanks to Turo my pocket holds the key to a black 2016 Mazda MX-5. I scouted the area on Google maps and planned my route. Highway 9 south to Santa Cruz. That’s a given. The rest is up in the air. I’ll be looking for a place to catch the sunset and snap some shots for RightFootDown while filling my Instagram and Twitter feed. So go ahead, follow away. In the off chance you’re in the area or simply want to tag along, drop me a line. Could always use a hand filming!